It is no secret that I love me some pinnies. I am afraid to count how many my girls actually have. the amazing Ashley of Lassie Girl. might venture into stuff for little guys! I should actually list my love of fabric first. I am MAD about it. watch TV. I do like cleaning house, laundry not so much. really not a food I will turn down except raw oysters or pickles." in her sewing room eating whoopie pies? your choice of rad pinafore? come back here and tell me your fave. it will be really, really hard. 3. Make a purchase from her shop. A winner will be chosen on Friday October 2nd. Which, by the way, how in the world can it almost be October? I can't decide between the Mad Hatter skirt and the Scrappy Skirt. Both are so cute!!!! oooo wonderland would have to be my favorite. All so cute. Love her fabric selection. OH MY! Tough decision. I LOVE the tweedle dum and wonderland girls just the same! Those skirts are all so cute too! Just left a comment on her blog. Cute stuff, huh? I only get to choose one!!?!? I love them all. I do think the Apple Blossom Reversible Pinafore is adorable. I'm so glad you introduced me. I'm heading to her blog right now. I LOVE the scrappy skirt!! They are all so cute though!! i love the mad hatter skirt and the soiree pinnie! i left her a comment on the post with the photoshoot extras....CUTE! Oh man, the Wonderland one is super, super fab. I commented on the blog as well. Spreading the love! Yay! I am so in love with Wonderland right now so this was a no-brainer for me! I love the Wonderland Girls Reversible Pinafore -- Size 3m - 4T. Awesome! 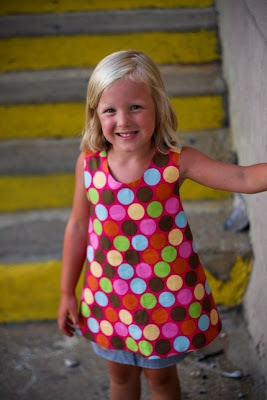 My favorite, i think, is the dweedle dum pinafore ... love that fabric! The skirts are all really cute, too, especially the scrappy one. Beautiful pinnies and what a generous giveaway! I'd have to say that my favorite is Apple Blossom Girls Reversible Pinafore - I just love those prints! Thanks for the introduction and have a fantastic weekend! LOVE the Night Owl Reversible Pinafore . Just left some love over on her site as well! Holy cuteness! So hard to choose. I like Espresso Jewel Girls pinnie - great colors for fall! My fave is Lily Girls - super cute! I LOVE the tweedle dum! Would be so super cute on my So-Mo! I LOVE LOVE LOVE the Wonderland Pinafore. It is just precious! I just left her some blog love because I LOVE her cute pinnies! Oh, I love Tweedle Dum!! I have to say that though I don't care for halloween, the Raven Halloween Pinafore is my favorite!! That might be, however, because our surname is Crow. My daughter would love this, and her 3rd birthday is right around the corner! Thanks for sharing her lovely clothes. My favorite is the Hot Dot! It will go with anything. I left her some love, and am heading back to poke around some more! You were right! It was hard. I like the Tweedle Dum pinafore. The skirts, also lovely. Everything. I also love the Alice theme. Thanks for the introduction and the giveaway! Oooohhh, fun! I love the hot dot! I left a comment on Lassie Girl's blog. Tough choice. Apple blossom is my favorite at the moment. The colors are so fresh & perfect for Fall. I love the Jewel Girls Reversible Pinafore. My niece looks just like the darling model on her Etsy site. Visited Lassie Girl's blog and left some comment love! I love the Lily Girls Reversible Pinafore. It would be great for my little girl. So cute!! I love the Tweedle Dee. I made a pinafore for my 2 yr old niece and just love them. Love the fabrics. I left her some bloggy love. Left a comment on her blog. For some reason, your link didn't work for it, just to let you know. I big puffy heart Lacie - who can resist pink zebra?!?! bloggy love left! cool stuff! ooh - the Woodland Girls Pinafore is to die for. 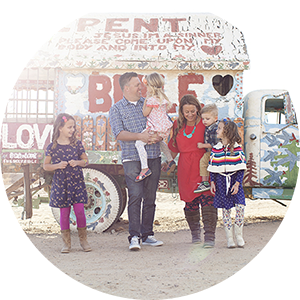 I have 3 girls - I love everything on her site! I *LOVE* the Lacie Girls Reversible Pinafore... it's just pure awesome :) I'd love to have one for my daughter! LOTS of cute ones but I am totally digging the Raven one right now!! I think it super cute for fall!! I'm back! Just left a comment on Lassie Girl's blog!! OOh I luv them all!! But I think my fave is the Flower Shower Girls Skirt!! Way too cute! Oh, oh, oh, how could you ever choose? I think I know why you have so many now. I love the Lily but the Raven is cute too. Do they run large? Hope I win! I like the lily reversible pinafore. Very cute. I love the Espresso Jewel pinafore! Tough decision though, they're all beautiful!! Left a comment on her blog! Thanks for introducing us to her! I love the HOT DOT Girls one :) SO CUTE! And reversible!! I left comment love :) and became a follower! I love the scrappy skirt!! Love the Hot Dot pinafore! Would look so cute with my little girls baby blues! I visited her blog and left some comment loooove! I love the Tweedle Dee Girls Reversible Pinafore! Too cute! It is really hard but I think my favorite is Espresso Jewel Girls Reversible Pinafore. Thanks for the chance to win. Love the Espresso Jewel Pinafore. Hope I am the lucky winner! Visited her shop... oh, my! The wonderland pinnie or a scrappy skirt... at least, I think. I could choose all day lon! I have two fav's, sorry! Raven and Lacie, how sweet! I'm lovin' the Raven Halloween pinnie! So cute. Ashley sounds SO MUCH like me! Left a comment on lassie girl's blog! I love the apple blossoms reversible pinnie. It's so cute for Fall! I love the Tweedledum Pinafore! My girl looks good in red. Left her some bloggy luv! I think ONE of my faves is the Soiree Girls Reversible Pinafore. Left Ashley some comment love. The scrappy skirt is so very cool! 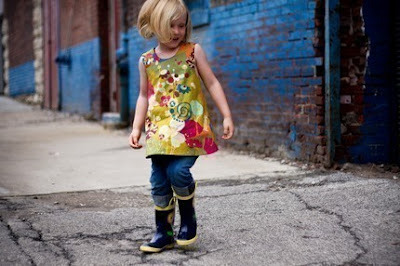 I love the Wonderland - I can totally see it on my little girl with some leggings and boots. I think they are priced reasonably too! Tweedle Dum Piafore is SO cute. I love it! i LOVE lassie girl - oh my goodness!! stinkin' cute. the wonderland pinny is calling my name ... or, rather, my 2 year old daughter's. Wait, maybe she can make one in my size instead! OMG~~So many to love & so hard to choose!! My Mom used to dress my sister & me in these pinnies (I am 45) so I love these also. I think if I have to choose~~I love the Espresso Jewel Pinnie!! Now off to leave some love on her blog!! Best of Luck to every1 in thid Giveaway. It's so hard to decide, but I really love the apple blossom pinafore! Soiree pinnie for me...or rather for my darling neice! Also, I left some love on her blog! I love the scrappy skirts!!! Am totally in love with the reversible pinafore! I love the Lily Girls Skirt! Everything is so very cute! Espresso Jewel...skirts are adorable too! pick me, please!! left a comment on her site! Right now I am digging the reversible Halloween pinafore. Oh my! My little Anna would look adorable in this. She loves to wear skirts & dresses and twirl in them. I like that she shows them with jeans...how appropriate for running around at kindergarten! I left a comment on her blog too! The Tweedle Dum pinafore is SO cute! I want the Tweedle Dee Girls Reversible Pinafore. . . So cute! So.so.cute! I want one in every color, but my fav is the Wonderland pinafore! What a cute shop! I love the Espresso Jewel Girls Reversible Pinafore! I love the Apple Blossom and Wonderland pinafore's-so cute! Would love to have one as my daughter has outgrown hers! Lily Girls Reversible Pinafore -- Size 5/6 -- LIMITED. i adore the lily girls pinafore. but it was oh so hard to pick just one! thanks for the chance to win. and thanks for stopping by and praying for my friends. they really appreciate all the prayers and support. I love the wonderland pinafore - it would look SO cute on my girls! Whew, that was hard. My favorite is the Apple Blossom Girls Reversible Pinafore! Thanks for the chance to win. Left a comment on her blog! Thanks for the introduction. I have attempted to make my little girl a pinafore because it looked simple; boy was I wrong. I will be purchasing one as soon and I can decided on my favorite. I think Tweedle Dum may be the winner, but I do love all the ones with zebra print. I love the pinafores! My favorite is the Hot Dot Girls Reversible Pinafore. Thanks for the give away! I left a comment in her blog. I love the night owl pinafore, it is fabulous! I also left a comment on her blog, which Im now a subscriber of. You're right, that was hard to choose just one! I love the Tweedle Dum pinnie, and I know my Sweetpea would too! Left her some comment lovin' :) Great blog! Love the apple blossom one! You're right...that was tough. I love the apple blossom reversible...absolutely adorable fabric! My little one doesn't have one pinafore in her closet...that needs to change! Wow! I love the Wonderland reversable pinafore!!! Lily and Espresso Jewel are my favorite. And not just because I have a little girl named Lily who would be adorable in it. Thanks for the giveaway! Lily Girls Reversible is so cute. My favorite is the Hot Dog pinnie. I just can't get enough of those polka dots! Oh my! How adorable! And you were right, it's very hard to choose a fave! But I would have to say the Lily. Thanks for the tip, I'll be shopping soon! My ablsolute favorite is the Wonderland Girls. My fave is the Lucie reversible pinafore - so cute! Commented on her cute blog!! I love the wonderland pinnie and the mad hatter skirt. Big Lassiegirl fan! We probably have 5-6 lassie girl pinnies. A.S. and I met when we figured out we were both in DFW. I adore her stuff, and could have my daughter(1yr) wear a pinnie everyday. We wore one today in fact with jeans...it was one that A.S.made with fabric that I gave her...I ADORE fabric just like you!! Anyway, I love her new Lily and Lacy girl prints, and the halloween one would be awesome to take pictures at the pumpkin patch!! So I can't pick just one. I also just left a message for her on her blog, need to put her on my sidebar so I remember to check in more!!! absolutely love the Espresso Jewel Girls Reversible Pinafore -- the print is beautiful and cheerful! I just left her a comment, wow...she has a giveaway as well!! What cute cute things she has. I'm lovin the "night owl" top, DARLINGNESS!! REally neat giveaway girl.